The only chair available for Jack Salt at Clark Elementary School was decidedly not designed for his 6-foot-10, 250-pound frame. However, the University of Virginia men’s basketball team’s starting center didn’t seem to mind one bit. Salt – who will take the court Thursday night with his teammates in a bid to reach the “Elite Eight” of the NCAA Tournament – is pursuing a master’s degree in educational psychology at UVA’s Curry School of Education and Human Development and has said he is interested in a teaching career. 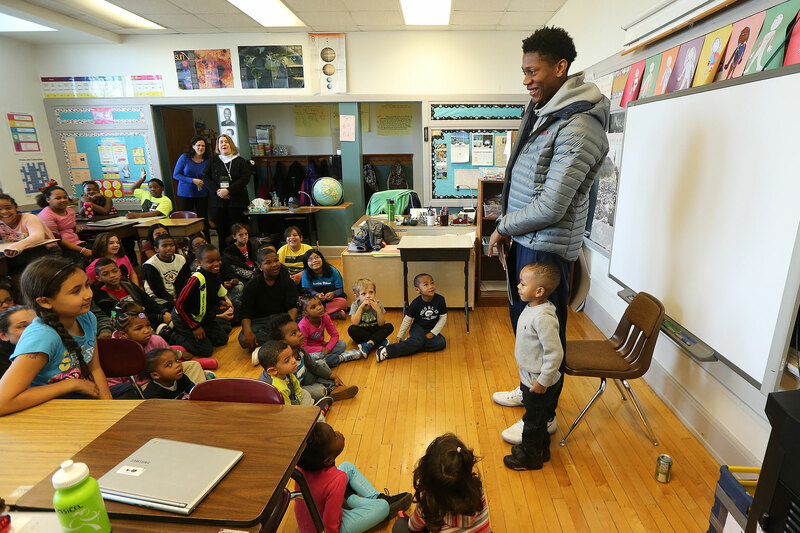 When he is not playing tenacious defense, setting bone-shattering screens or thrilling fans with thunderous dunks, he can sometimes be found at local elementary schools. 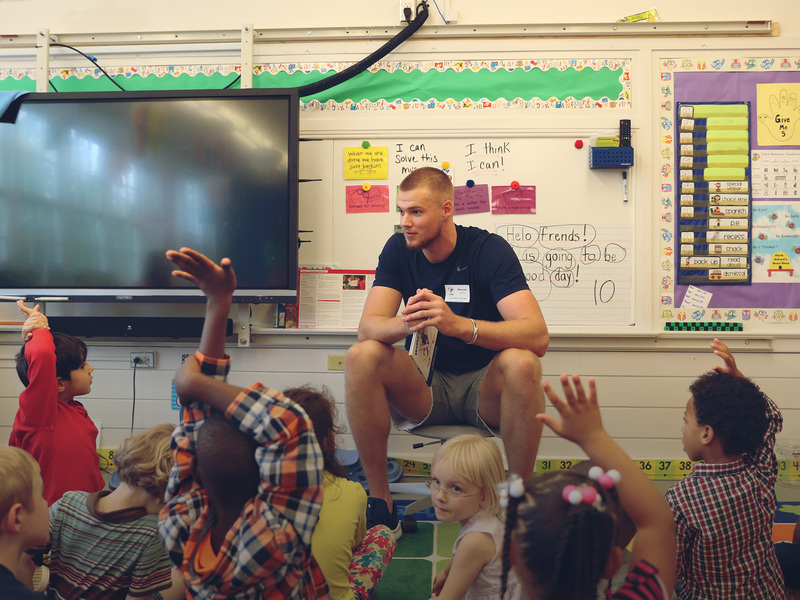 There, he reads to children, tells them a bit about his home country, New Zealand, answers their questions or simply spends time with them – a thrill for many young fans. And he’s far from the only Cavalier athlete making an impact in the local community. They participate in organized events, but go on their own time as well, building personal relationships with students, teachers, patients and many others. 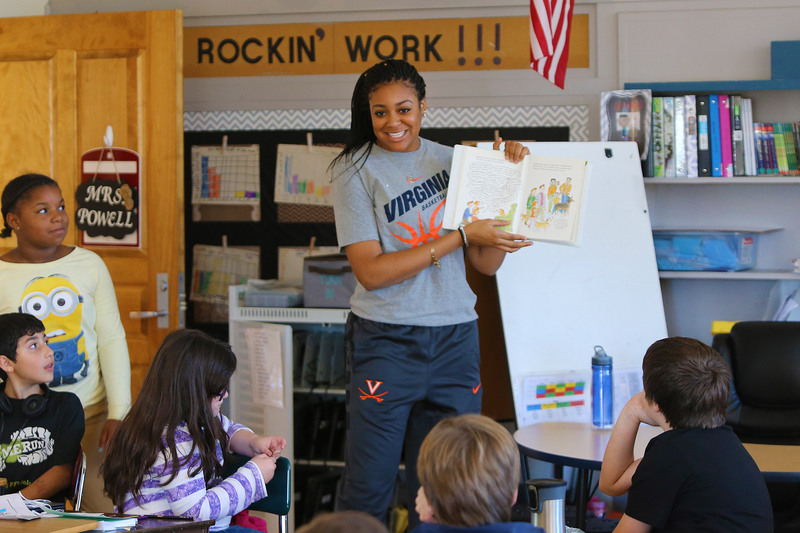 Some of UVA’s student-athletes volunteer through Athletes Committed to Education, or ACE, a Madison House program that connects more than 50 student-athletes to local elementary schools. They visit the schools on a weekly basis, allowing them to form strong bonds with students week after week, year after year. 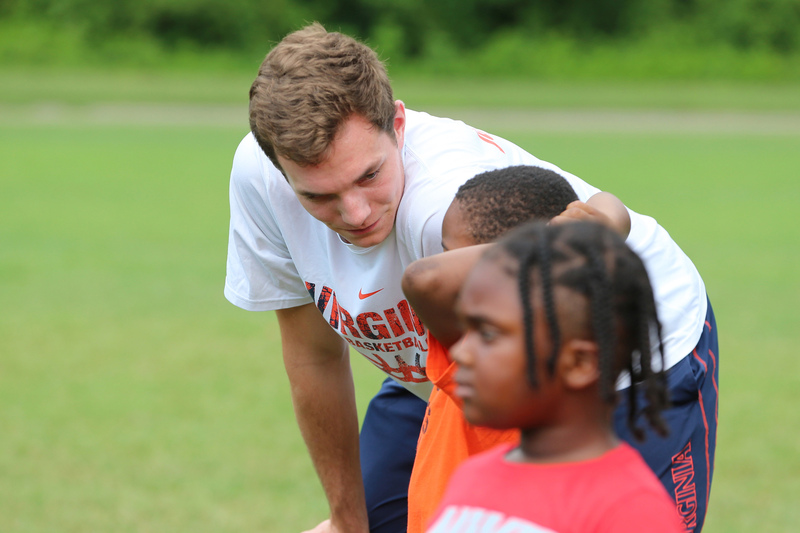 The football team runs a popular “Thursday’s Heroes” program, bringing UVA fans who are facing difficult circumstances to practice to meet the team and coaches and get a fun respite from daily challenges. 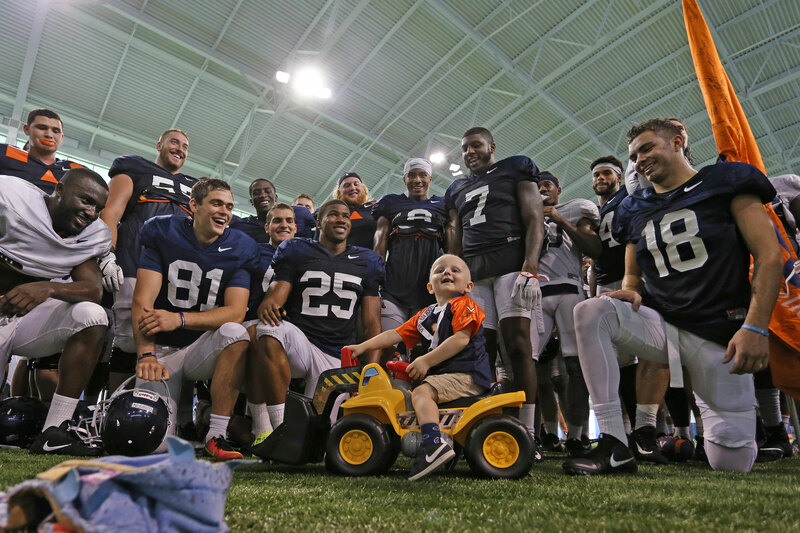 One of this year’s heroes was Luke Edwards, the son of UVA football analyst Matt Edwards. The toddler is fighting acute lymphoblastic leukemia. Football players also worked alongside volleyball and soccer team members to assist the local United Way chapter in unpacking 10,000 books for a summer reading program. 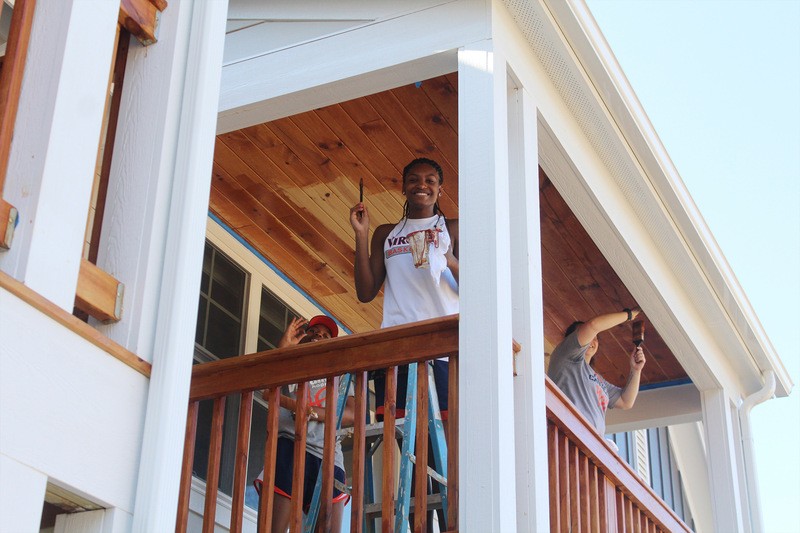 Others, like basketball alumna Aliyah Huland El, help with local Habitat for Humanity projects. Huland El graduated in May and signed with a professional team in Italy. Eventually, she hopes to go to medical school and become a pediatrician. 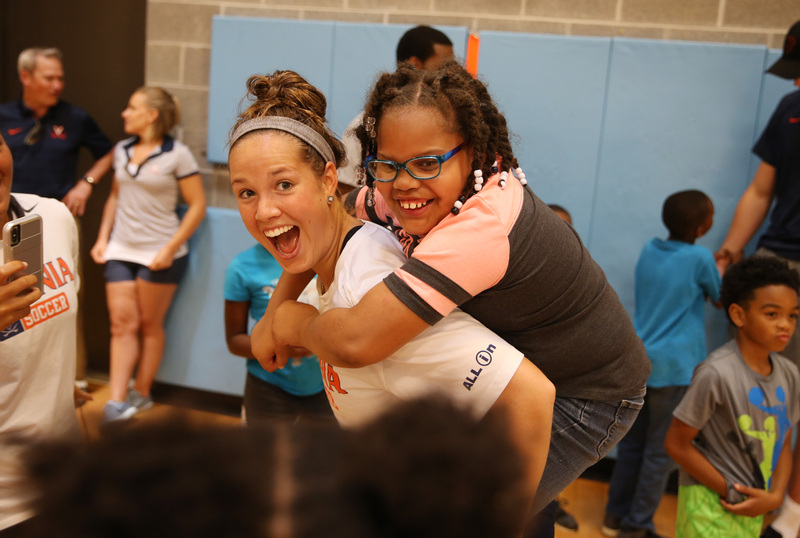 Still more student-athletes volunteer through Team IMPACT, a national non-profit connecting kids fighting chronic illnesses with collegiate sports teams. 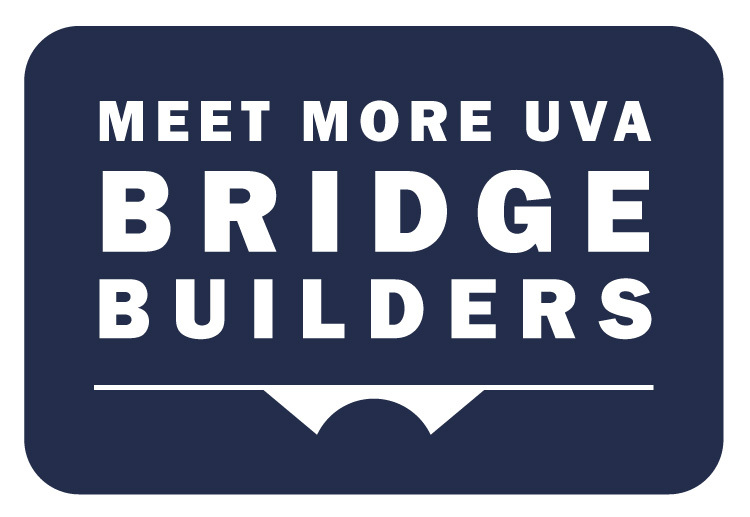 UVA’s softball, baseball and men’s lacrosse teams have each sponsored children, inviting them to practices, games and team activities, and honoring them in pregame ceremonies. Others help at assisted-living facilities like Morningside of Charlottesville, or work with the Virginia Discovery Museum, where they set up science fairs or help children work through STEM-related challenges. 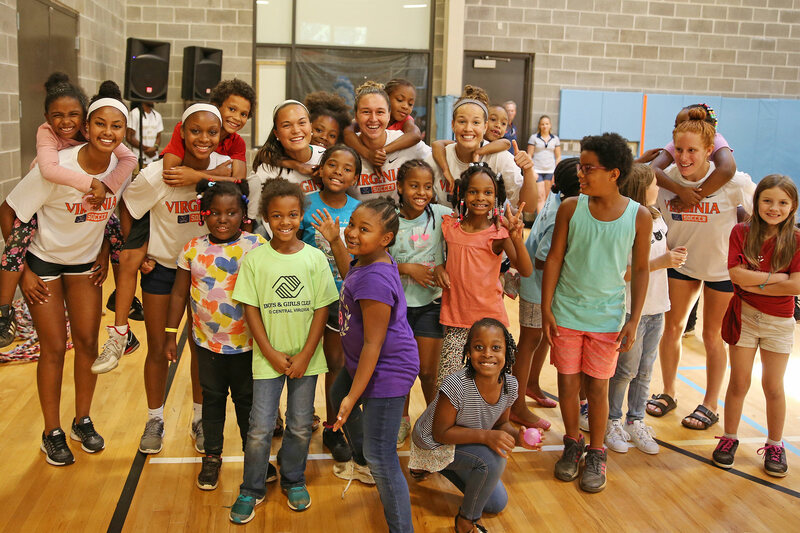 Virginia Athletics also held a “UVA Day” in August in partnership with UVA Orthopedics, Nike and the Boys and Girls Club of Central Virginia. 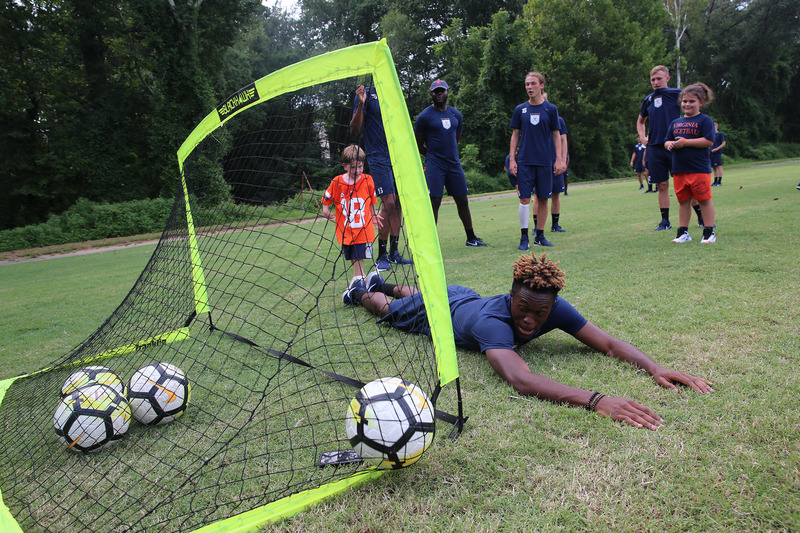 It was a family-friendly affair, with scores of children from the Boys and Girls Club joining UVA student-athletes for a field day, with games ranging from tug-of-war to pick-up soccer. Many joined in on the fun, as the kids attempted a series of carnival games and field-day challenges like tug-of-war. 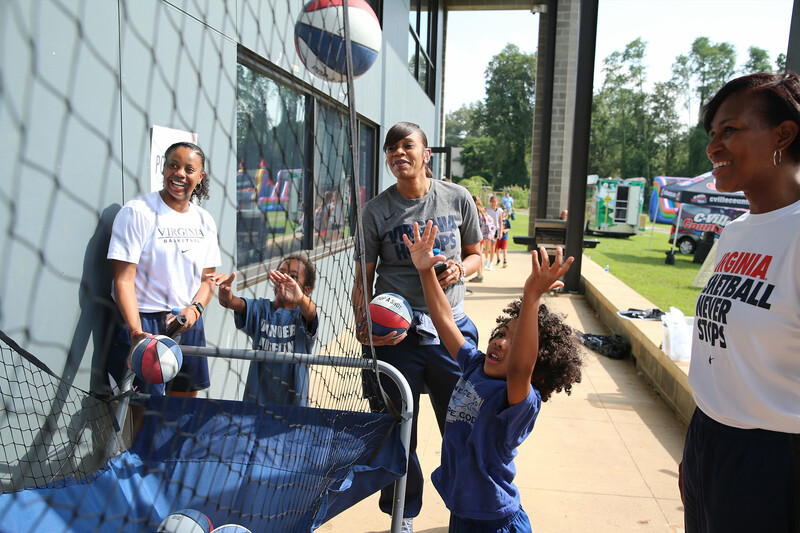 Both coaches and student-athletes were on hand, and the event attracted a large crowd of students, children and families. The day also gave student-athletes a chance to share their favorite sports with young fans who are just getting into them. Soccer player Simeon Okoro really put himself on the line, diving – apparently in vain – for an impressive goal.